National Geographic Channels International has partnered with The Corner to create a global TV and print campaign for the launch of its two new series The ’80s. The Decade That Made Us and ’80s Greatest. The two series are an epic roller-coaster ride that offers an inside look at the political, technological, cultural and social revolution that created our modern world. 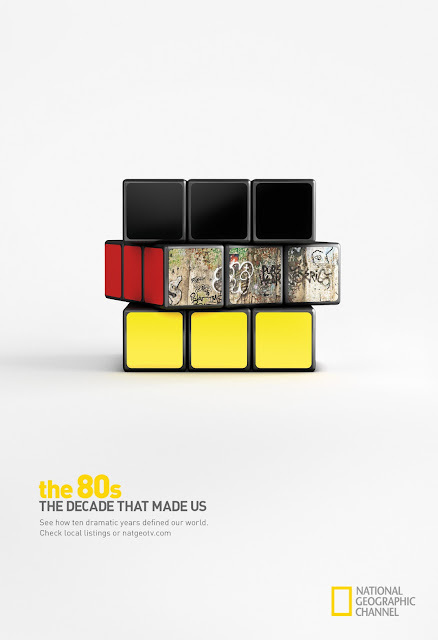 Using one of the most iconic puzzles of the 1980s, the Rubik’s Cube, as a storytelling device, the TV trailer highlights different images of world-changing innovations in the 80s, such as the internet, hip hop and mobile phones through the cube. In the spot, the cube is being masterfully played by UK Rubik’s Cube ‘3x3x3 One Handed’ champion Simon Crawford. A Rubik’s Cube is also the centerpiece of a print campaign which juxtaposes 21st century and 80s images to show the evolution of the iPod and Spotify, and the fall of the Berlin Wall. 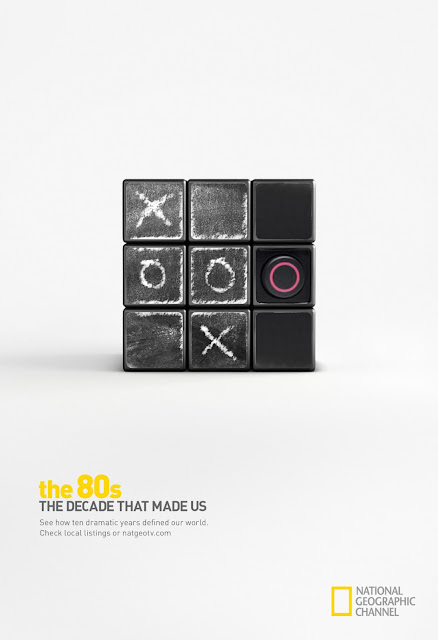 The 60-second TV ad launches this month all over the world together with an extensive multimedia campaign. 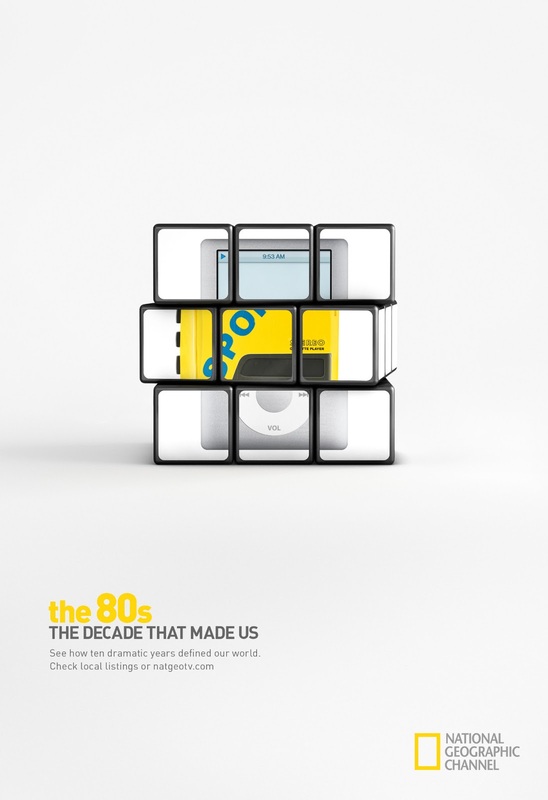 ‘The ’80s. 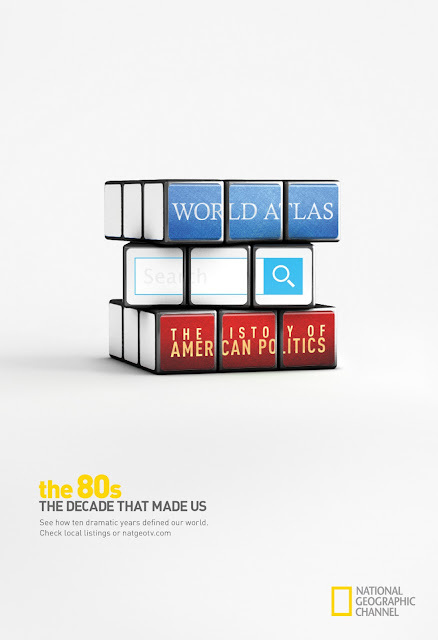 The Decade That Made Us’ airs in the UK on Sunday May 12th at 8pm on National Geographic Channel.